There are a few minor changes with version 2.1 of Wallpaper. The first menu when you enter the app now says Share My Wallpaper or Nevermind…selecting Nevermind allows you to view the Wallpapers without sharing your own Wallpaper. The previous version said Share My Wallpaper and Continue Without Sharing. There has also been a wording changes on the Menu when you select a Wallpaper…instead of Flag it now says Report. The cool new feature is that when you add the Wallpaper you the Gallery it also puts that Wallpaper in your Camera Roll…so that is sweet because you do not have to use SSH to get them off your iPhone anymore! Though, on a side note, for me it is just as easy to drag the images to my computer via SSH as it is to drag them out of the Camera Roll…either way I’m just dragging them to my computer! But, for people who do not use SSH a lot it is more convenient for them to be in the Camera Roll. 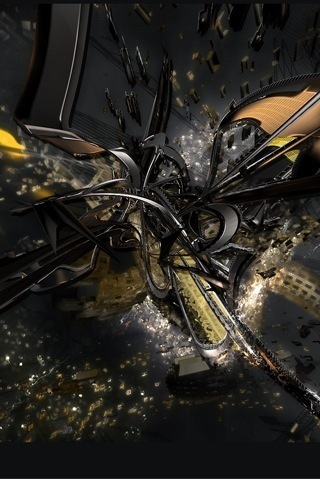 My bad…I think I must have accidently taken screenshots of the Wallpapers…maybe it was just wishful thinking!! Sorry to get your hopes up! 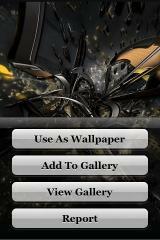 Wallpaper is available through the iApp-a-Day source. Below are the screenshots. Your post made me confused so I check it out and, sorry about that…I changed my post above! Same here! I accidentally added a wallpaper to Gallery, and it saved to the user Wallpaper folder on my iphone. It is not adding to the Camera Roll. I am pretty certain I have the 2.1 version. HERE is a zip for Wallpaper 1.8. Yeah…that would be cool if it had a next button! Mine actually switches pretty quickly but there are times when I would just like to go to the next one. Thanks for the file Brooke! No problem…let me know if it works for you. Don’t forget to change the permissions to 0755.
ok so does the wallpaper thing mean that i can delete the pictures after i download them from my itouch or do i still need to use SSH? Ok so i boot up WinSCP, then goto /Library/Wallpaper, copy those files to my computer…but they do not open? Does anyone happen to have an archive of the 2.1 installer? Sean Heber seems to have dropped off the ‘net: his home site – http://www.bigzaphod.org – and iAppaday.com have both been dead since 15-17 Mar 2008, according to the Google cache. His professional sites, http://www.fifthace.com and http://www.spiffytech.com, are also both down. That’s not right. I wonder if he’s hosted everything on one server…? This version 2.1 is lame. You cannot see pictures correctly in the new gallery because the menu icons will not move out of the way. The more he has tinkered with this app the worse it has become IMHO. Just let us add them to camera roll again please. Version 2.2 released tonight and much better. Looks like he is listening to suggestions. Yep…already have a post about it…check it out!